Sophie has grown up believing she is an orphan and was only going to be a servant to Duchess Ermengard her entire life. She longs to get away from the duchess’s hatred and jealousy, but she knows that the duchess would never let her leave ever. Her future seems bleak until a man arrives from Hagenheim Castle claiming that she is the daughter of a duke and engaged to his older brother. Now Sophie’s life is turned upside down and she doesn’t know what to do or whether or not to even trust this man. But she has to try if it means she’ll finally get out of the duchess’s clutches. When Gabe heard that the daughter that was supposed to marry his brother might still be alive and is in danger, he knows that they have to go soon. But his brother has a broken leg from a battle and his father has too much going on to go. His family knows he’s not a fighter and doesn’t want him to go thinking he’ll get himself and her killed. Defying his family, he sets out to rescue the duke’s daughter and possibly gain some glory and gratitude in the process. He has no intention of falling for his brother’s fiancé, but her inner and outer beauty captivates him and he can’t help but falling for her. As they run from the duchess’s minions and from dangers outside the castle, they start to fall in love, but Sophie is still engaged to Gabe’s brother and Gabe is unofficially engaged to someone as well. The impossible is happening, they are falling in love and they have no way of rectifying that. Gabe is determined to break both engagements as Sophie struggles with trust and the disbelief that it will be as easy as Gabe wants her to believe. This is the second book that I’ve read from this author and having loved the first one, I jumped at the opportunity to read this one. I love retellings of anything from biblical stories to modern events, but I think my favorite retellings are classic fairytales and that is something this author has claimed for herself. This author stuck with her niche and rewrote the story of Snow White into a story of love and rescue and I loved it. I also loved that she used the children of the couple from one of her other novels. This author has improved as a writer since her previous novel and it shows. The romance in this novel is perfect for a teen. Teens love forbidden love as well as love triangles. Though this book wasn’t a love triangle it was a forbidden love story and it was pretty good. There wasn’t a lot of physical touches, like kissing or hugging, but I felt it was appropriate for teens and the author made up for the lack of physical contact by making an emotional connection between the characters and I never felt like the romance was rushed or nonexistent, except I did feel like the time that elapsed before they said “I love you” was too short. This romance was intended for teens and it’s perfect for them, but I also feel like adults could read and enjoy this book too. The storyline of this book is perfect. 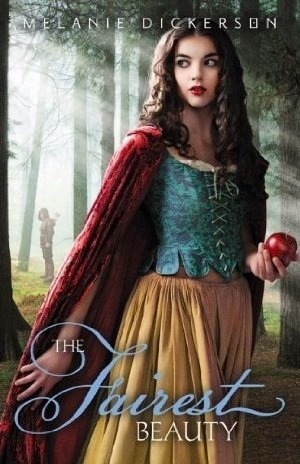 The author took the classic Snow White tale and revamped it and made into something that I think teens will love. Though the conflict was resolved maybe a little too easily, the storyline was a nice one and despite its flaws, it’s made it up onto my favorites list and it’s definitely one I’d read again. I loved how the author made this story new, yet kept the major elements the same and added Christian elements to it, making it a perfect clean version of the classic fairytale. The characters were developed reasonably well. I felt that the Cottage of Seven inhabitants and Sophie’s friends back at the duchess’s castle were nice and improved the story. I also felt that Sophie, though a great character, was maybe a little too perfect but she did have some legitimate doubts about everything and did struggle with trust issues throughout the book because of that it made her perfectness a little less noticeable. I also felt that the Duchess Ermengard’s jealousy and outright hatred was extreme, but somewhat understandable, not to mention it kept with the classic story. The character I liked the most and saw the most growth, though, was Gabe’s, he started out looking for glory and recognition and instead realized he just wanted Sophie. I think the characters were reasonably well developed though some were extreme and some were overly perfect but it somehow worked. I love this author. I love her fairytale retellings and I love the fact that they are made for teens. Though this author’s books aren’t perfect, they are enjoyable to read and I look forward to seeing this author hone her skills as a writer. I think this book is a book almost every teen will love and possibly most adults as well and I highly recommend this one to anyone young and old. This is an author that I fully intend to read more from because I’m a fan and have been since that first book. Overall, this is a great book that thoroughly enjoyed reading and I think you will too. I think this book is perfect for those who like retellings and for those who like medieval fiction. This book is perfect for people from Tweens to adults. I highly recommend tis one. I give this book a four out of five. 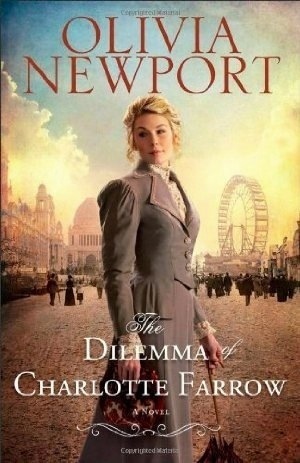 Charlotte Farrow is a maid at the Banning mansion on the famous Prairie Avenue. But she has a secret that could get her fired from her job. She has a son and domestics aren’t allowed to have spouses or children. Keeping her secret for over a year hasn’t been easy, but with the help of Lucy Banning she’s been able to keep it from Lucy’s family. But now, the lady who’s been watching her son now has left on a family emergency and left Charlotte’s son with her. She now has to give up her son and trust that the Bannings will decide what’s best for her son or come clean and risk her job. Archie Shepard is head coachman in the Banning household and he wants nothing more than to leave the job of servant and take Charlotte with him, if she’ll let him. Ever since the arrival of a child on the Banning doorstep, Archie has noticed a change in Charlotte and he can’t figure out what it is. He wants more for himself and Charlotte but she seems determined to not let him love her and seems determined to be distant. But he’s determined to win her over and give her the life she deserves. While Charlotte resists Archie, she also must decide if her job is more important than her son and whether or not she’s willing to to take a risk for love. And when Archie discovers Charlotte’s secrets, he must decide if they are too much for him to handle or if he is willing to put it all aside for Charlotte. Life tries to get in the way and obligation tears its ugly head, but with love fighting, maybe it’s enough to weather any storm. Will Charlotte tell the Bannings about her son or will she lose him forever because of her cowardice? Will Archie handle her having a son well or badly? Will Charlotte decide to take a risk on Archie and her heart or will she be too scared to make the leap? Will Charlotte be able to trust that God has the best in mind for her or will she take matters into her own hands and mess everything up? Having read the first book in this series, I didn’t really expect much from this book, considering that the last one wasn’t my style. This book was better, but not by much. I can see the author improving with each new book and I can see the potential she has, but this book wasn’t my cup of tea again. However, I did enjoy the plot and I loved uniqueness of the storyline. It was the execution that I had a problem with. The romance in this book took a while for it to kick in. For most of the book Charlotte rebuffed Archie’s advances without an explanation, until near the end. Then, when Archie hears her secret, his reaction is less than passionate. In fact, I got the impression that he didn’t care and the secrets that she had to tell we’re doozies. After the secrets are out, that’s kind of when the romance starts, which is very late in the book. The storyline in this book is amazing and I wanted this book to live up to the plot, but unfortunately the execution of the storyline left much to be desired, but the fact that this storyline came from someone so new to the writing world, it shows me that she has great potential. With this being the author’s third book or so, her storytelling is getting better and I will read more from her just so I can see her grow. She is definitely one to keep your eye on. The characters in this book are the main reason why I dislike this series. Though they portray how people acted in that time, I felt that the were way too cold and stiff. The social line in this book again is accurate to the time, but it was so obvious that it felt like the Banning family was snobby and the staff was little above slaves. I realize that these characters are very similar to the view and actions of people of the time, I just wish that the author broke history a little and added warmth to the Bannings and the servants attitudes. This series is the author’s first and not one that’s on my read again list, but it shows the potential of the author. She has great story lines and she knows her history. I plan on watching her and her stories and I’m obligated to finish the series because I started two thirds of it. This author really makes history come alive in her books and if she can do the same with her characters and romances, she’ll be a force to be reckoned with in the historical fiction genre. I plan on watching this one. Overall, not my cup of tea and I felt the romance lacking and characters stiff and cold. I recommend this book for those who like books about history instead of romance and those who like newer authors to watch grow. I think this book is perfect for older teens and adults of all ages. I give this book a three out of five. Esther Cherrett comes from a proud line of midwives and was trained to be one by her mother to take over the family calling. Esther is more than happy to take over the family business, until a disastrous scandal threaten everything she holds dear. To protect her family and herself from the vicious gossip surrounding her, she flees and takes a job as a teacher in the wild mountains of Virginia. The last thing she wants is trouble and a man, but it turns out she’s now in the middle of a family feud and not one but two men are trying to court her. Now, all she wants to do is run away again. Griff Tolliver and Zach Brooks are on separate sides of a decades long family feud. Years ago they took a pledge to stop the fighting and never betray each other. When Esther comes to town, they’re both interested in Esther but Griff is willing to not pursue her to keep the peace. However, that seems a bit hard when she is staying on his family’s property and seems to be everywhere he wants to be. Despite his promise to court her, he can’t help but want to and he can’t help but know that he does pursue her, he might start the fighting all over again. As Griff and Esther get closer, Zach pushes harder to win Esther. But, Esther doesn’t want to fall in love and Griff wants to keep the peace to bad to really court her and Zach seems to only want Esther for her looks and because he wants to best Griff at something. Not to mention Esther found another note warning her to keep running. It seems unlikely that her past has followed her all the way to Virginia, but Esther knows how fast gossip can travel and she’s even more determined to keep her past and mistakes a secret, but she can’t help but want to run again. Will Esther’s past catch up to her or will she be able to life without the vise of her past crushing her? Will Esther be able to trust men again and find love or will her past mistakes prevent her from finding love? Will Zach or Griff win Esther’s heart? Will Griff break his promise to stay away or will he do what he wants and forget about peace? Who will Esther pick? What scandal was big enough to make Esther run away from everything she’s ever known? I’m a fan of this author thanks to the first book in this series. So I was really excited to get the chance to read this new installment, and possibly the last book, of this series. This author has given an amazing storyline and subject in this series and the third book in won’t disappoint what you’ve come to expect out of this author. I got a unique romance and a complex storyline that will keep you interested until the very end. I’m highly satisfied with this book. The romance in this book is cute and complex. I started out this book rooting for one cousin and then ended up rooting for another after about chapter three. The author kept me interested and kept me guessing as far as how this romance was going to play out. Like most love triangles, there usually isn’t any question to whom our heroine is going to pick, but I loved how the author made conflict and promises draw the couple together and make everything more complicated. This romance was one that’s a memorable one and I loved it. The storyline in this book is a complex one. You have a girl who wants nothing to do with men and two men who want Esther, as well as a family feud, and a scandal that seems to have followed Esther west. How much more complicated do you get? You even have a small dash of suspense and mystery. I liked how the author worked through all of the problems and how she made the story play out. I really liked how this story was a combination of all of my favorite types of stories and that there wasn’t too much going on that you got confused. This story was amazing. I loved this story, though Esther’s manipulative ways were horrible and it ruined her character a bit, just because it didn’t make sense why she’s doing it after everything she’s been through. Despite that this book was still great. I loved the whole city meets country aspect and how this book delved into a previous character’s child. It allowed us see what happened to our favorites twenty plus years late. I really enjoyed that. This book definitely is a book that I highly recommend. This author is one of my favorites and became that after the first book in this series. I love this series, but not really her other one. It didn’t really live up to my expectations. However, this series is awesome. It delves into midwives and the rules and practices that they had. I loved that bit of culture and history and I knew that the author did a lot of research because of the extent she went to to show us the traditions of midwifery. I think that’s my favorite part of this series. The midwife culture. This is one of the few books that I highly recommend and will give a high score. I recommend you read this one. Overall, I loved this book and the whole series. 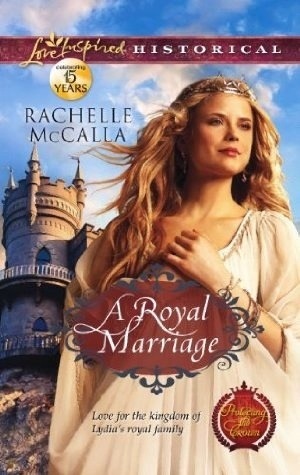 This one is highly recommended particularly if you love historical romance, love triangles, or unique romances. I think this book is perfect for adults and mature teenagers. I give this book a four out of five. Hey guys. Last week and I’m terrible. Anyway this is our last article and I can’t wait to do this again. Here it is. That’s it. I hope you enjoyed this experience as much as I did. I’ll be back to reviews only, but I really want to do this again, so look for more of similar articles later. Princess Gisela, daughter of the Holy Roman Emperor Charlemagne, has been entered into a diplomatic marriage, despite her protests. She wants to see the world, even if it means she has to marry a man she’s only met twice. Yet en route to her wedding, her ship is attacked and while protecting the ship and her passengers Gisela is gravely injured. With her life hanging in the balance, the ships crew take her to a renowned healer and king of a small nation, but he seems reluctant to do anything. King John of Lydia wants nothing to do with his healing past after losing the two people who meant most to him despite his best efforts. However, he can’t turn down the princess, particularly after seeing how determined she is to live. After rescuing her, she recuperates in his castle on the shore and the widower starts to rethink his promise to never marry again, even if it means he might lose her too. As their forbidden love grows, the situation between King John and his enemy, Gisela’s fiancé, grow worse. They try to not fall in love but can’t help but see just what they can have if they just could change the circumstances. They also have to navigate a hostile people that want King John’s land. As time passes Gisela wants to stay and marry King John and King John can’t help but want Gisela to stay with him forever. Will King John and Gisela’s love be fulfilled or will Gisela get a taste of love before it’s ripped away? Will John be ale to keep his land or will he lose it all to the people that killed his father? Will Charlemagne let Gisela out of her marriage agreement for love or will he make her marry someone she doesn’t love for the sale of peace? Will John break his promise to never marry again or will he keep it despite the love that’s available to him? I’ve never read anything by this author, so I had no idea what this book was going to give me. What I got was fantastic. Being a novella, they’re usually pretty disappointing. They usually have a poor storyline and a quick romance and they usually leave me feeling disappointed. This one was different. I felt that the storyline was nice and the romance didn’t leave me feeling like I missed a good portion of it. This is definitely one of my favorite novellas yet. The romance was perfect for the time frame and despite the small size if the book, I felt that it progressed nicely and it read like a full size book and not a novella. I loved how the romance progressed and I loved how the author made the heroine a different kind of heroine. She made her a girl who would rather do something herself instead of wait for a man to rescue her or do it for her and I loved that difference and how it made the story more memorable. The storyline was actually reasonably complex for the length and there was even a touch of suspense and mystery mixed into this romance. There wasn’t a lot of the suspense and mystery but it was enough to add some depth and conflict to this book and I feel that it greatly improved this book. Without that added depth, I think this book wouldn’t have been as good and would’ve probably been borderline boring. The storyline of this book is like none other for a novella. When I picked this book, I was hoping for a novella that is a diamond in the rough and was as great as the cover. Thankfully, this book more than lived up to it’s fantastic cover and it made me a new fan of this author. I’m so thankful that this book not only was good but it read more like a novel and less like a novella. It made this book one of the best I’ve ever read and I honestly can’t believe that for once my penchant for picking books solely for their cover pulled off. This author has some experience with Love Inspired Suspense and I fully intend to check some of those out because if they’re as good as this one, they are definitely worth reading. I’m now a fan of this author and this book put her on my map and radar. I never expect much from novellas but this author broke every expectation and made a novella that was great and read like a novel. I highly recommend this book and author. Overall, this is a great quick read and it doesn’t feel like a novella at all. 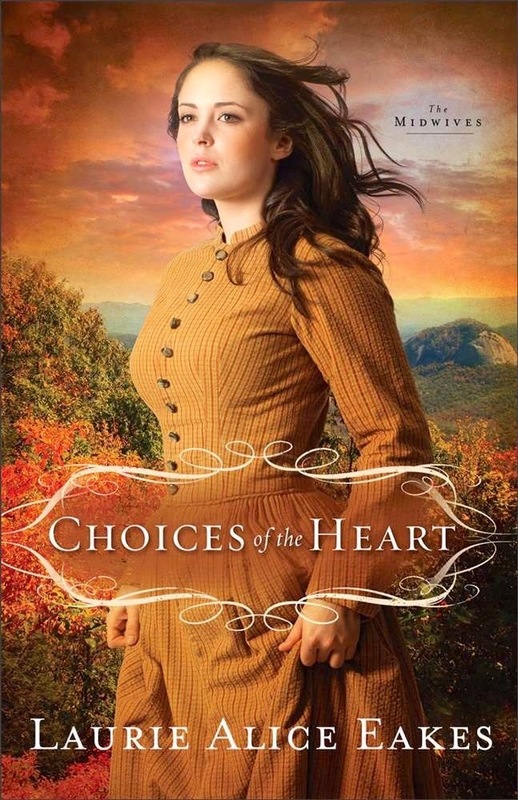 This is perfect for readers who love historical fiction and or romance. This book is perfect for adults, teens and maybe even some mature Tweens. I highly recommend this one. I give this book a five out of five. Reporter Moira Harrison was lost in a dark thunderstorm, when a lone figure appeared in front of her headlights. She slammed on her brakes but hears the sickening thump against her car. Then a man opens her door and tells her he saw everything and promises to call 911. When she wakes up after passing out, she realizes that the man didn’t call the police and the person she hit is gone. She’s determined to find that person. If only she can get someone to believe that this happened. Ex-detective turned private eye Cal Burke is skeptical when Moira comes to him with her story, but with her reporter background and genuine composure, he thinks she’s telling the truth. He starts investigating and doesn’t find much until Moira realizes who that man was in the rain. Once that happens, Cal and Moira start uncovering secret after secret that wasn’t supposed to be discovered and it could lead to their demise. As they work side-by-side in this bizarre case, they start to fall for each other. But, Cal isn’t ready to fall in love again after losing his wife and Moira isn’t ready to lose her heart again after being cheated on. However, despite their resolve to not fall in love, they just can’t seem to stay away from each other. They’re trying to catch a killer but, just when they discover love again, they might be his next target. Will Moira and Cal be able to find out who did it and why or will the killer be just too good at what he does? Will their search put them in the killer’s sights or are his sights focused to tightly on perfection to notice? Will Moira and Cal risk love again or will they miss out on what could be the best thing ever? Why did that person jump in front of her car? Will Cal be able to keep Moira safe or will this be the second time he loses someone close to him? 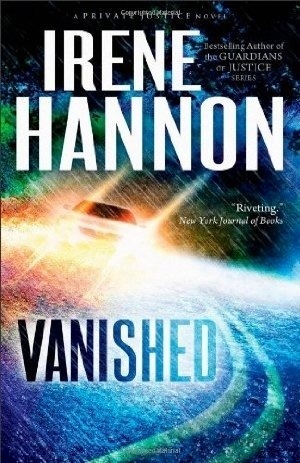 Irene Hannon is one of my favorite suspense authors. She always manages to keep me riveted and never lets me get bored reading her books. This book was no different. It started out very intense and definitely action packed. It also kept my attention throughout the course of the book and the romance seemed to progress naturally throughout the storyline. The mystery surrounding this book is intense. You never fully know what happened until the very end and it definitely kept me guessing. Also, the reason this happened and why completely makes sense and I loved how the author portrayed the “bad guy” as more misguided rather than evil and someone to be pitied not hated. I think this is this author’s best yet. The romance was definitely this author’s best. Before her romances kind of lacked, well, romance and it took a back seat to the suspense. This one wasn’t like that. The romance was prevalent throughout the book and I genuinely felt that this couple really did feel attracted to each other. I didn’t feel disappointed or jilted with this romance and it was actually really good considering it had to compete for time with the suspense. Definitely this author’s best. The storyline was complicated yet easy to follow and kept me on my toes. Though I wasn’t given much of a chance to guess who that mystery man was, I spent the whole time trying to figure out why he did it and how he did it. It was a huge mystery and I loved it. I loved the new perspective and I loved how the answers weren’t really clear until the end of the book. This was a solid storyline that I loved and highly recommend. This author captured me from her days as a Love Inspired author and ever since then I have tried to read every one of her books. Over time she’s gotten better and I constantly grow to love her more. I highly recommend this author and particularly this book. I’m convinced this is her best yet and am excited to see where this series will go. I can’t wait to read the rest of this series and the rest of her books. If you haven’t read any of this author’s books I highly recommend that you do. Overall, a great suspense book and the best this author has written. I highly recommend this book to fans of her or fans of suspense. This book is great for adults and maybe teens, but not really much younger than that. I give this book a four out of five. Amy Knackstedt hopes that moving to Weaverly, Kansas will be a great new start after the death of her husband. She hopes that healing will take place and a better future will exist for her three kids, their new neighbor isn’t pleased to have an Old Order Mennonite family living next to his apple orchard. Amy isn’t going to let that stop her from giving her kids a new life away from the speculation, though. Tim Roper doesn’t want any reminder of his former life as a Mennonite. He even changed his name to get away from it. The last thing he wants or needs is a Mennonite family moving in next door. He tries to stay away and not get involved, but Amy and her kids keep finding him and melting his heart with each visit. He doesn’t want to love again after losing his wife and son in a car accident, but he really doesn’t want to fall in love with a Mennonite woman and he kids, but it seems like The Lord has another plan. Trying not to lose their hearts to someone of different faith, Amy and Tim find themselves falling for each other despite their determination to not. They just have to get over that little fact that Amy won’t leave her Mennonite faith and Tim won’t go back. Without that detail fixed their attraction could just fizzle and die. They don’t know how this is going to work but all things are possible with God. Will Amy and Tim fall in love or will they realize that it’s time to open their hearts to the possibility? Will Tim be able to come to peace with his past or will he remain bitter towards Mennonites and ruin everything? Will Amy leave the Mennonites for him or will she convince him that not all Mennonites are like his childhood? Will Tim be able to heal from his wife ad child’s death or will he spend the rest of his life with guilt? I didn’t know this was an Amish/Mennonite book when I requested it and when I found out that it was I was sure I was going to hate it, because I have read Amish fiction before and didn’t like it at all. However, this book altered my opinions of Amish fiction and allowed me to see what good Amish fiction is. 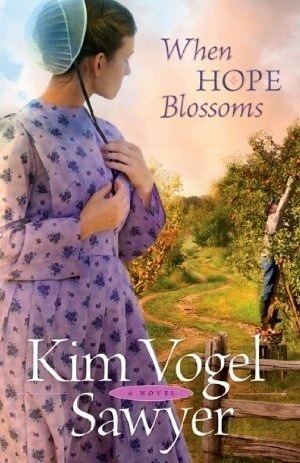 I love Kim Vogel Sawyer and I really love how she was able to transition from great historical fiction to great Amish fiction. The romance in this book is typical for this author, innocent and cute, but progressive and heartwarming. I liked how the romance really started through the kids, most of the time in romances that involve children the children either aren’t involved or they meet and fall in love with the children then realize that they love the mom. This book fell in the latter, but the romance between Amy and Tim was throughout the book and the children were involved in every aspect. I loved how this romance progressed. It warmed my heart. I loved the storyline as well. A former Mennonite who resents his past falls in love with a stout Mennonite woman. I usually dislike Amish fiction but this storyline and the different look at the Amish community than I’m used to really made this story really cute and made me look at these books differently. I now am open to reading more Amish fiction and now probably will review these every now and again. The thing that I liked about this book was the positive look it gave about their beliefs. I usually only get a negative look at it, but the positive really made the book. I may not agree with their beliefs, but the look that I got in this book made it seem more like a belief and less like a cult. I really liked that. I may not read every Amish book that comes out nor will I jump at the opportunity to read them, but I believe now I’ll be less hesitant to read them. I’ve read Kim Vogel Sawyers books since I first started reading Christian books and she’s always been a favorite of mine. I was a little disappointed when she decided to go into Amish fiction, but now I can see that she is fantastic with it. She’s actually better at this then she was at her historical fiction, though those are still fantastic. I you’ve never read a book by this author, do it. She’s an amazing author. If you don’t like Amish, though I recommend you check it out, look at some of her earlier works set in and around the mid-1800’s. I love this author and recommend anyone check her out. Overall, a great book for any book, but the fact that I think it’s great, as an Amish book, holds a lot of weight. I highly recommend this to fans of this author or for fans of Amish fiction. I recommend this for teens and adults, even mature tweens. I give this book a four out of five.